It’s been just over 15 months since we featured Irish pop artist LAOISE’s gorgeously brooding electro-pop number Rich. Since then the Galway-born singer-songwriter has been nominated for RTÉ’s Choice Music Prize 2018 Irish Song of the Year for her single Again and amassed over 2.6m streams for her dreamy, ambitious and frank pop songs about relationships and heartbreak. 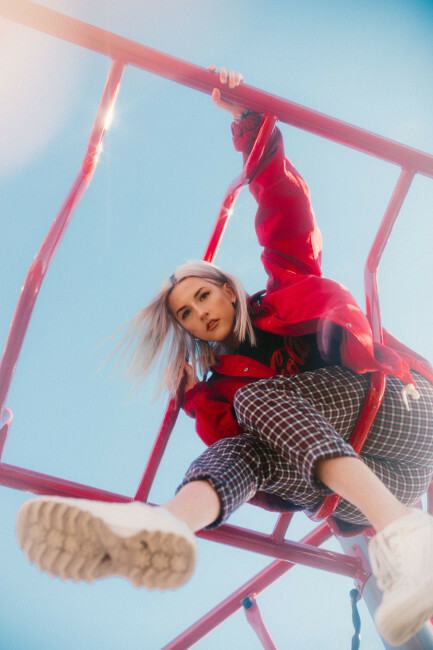 Her new EP, co-written and co-produced with Seán Behan and Richey McCourt, sees her taking cues from the silky production of acts like Tove Styrke, Troye Sivan and MØ to produce a buoyant and poppier release. Featuring on Spotify New Music Friday (UK & No) playlists last week, this fierce and quirky slice of addictive pop is the perfect introduction to her new EP and is set to open many more doors for this rising Irish star. Tastemaker support has come from likes of the Independent, Wonderland, the Line of Best Fit and NPR among others while later this year she will play Lollapalooza Berlin, Body & Soul and Indiependence festivals, having just recently finished her first headline tour of Ireland. Fun, bold and infectious pop.